Many sport and exercise psychology students learn in the classroom about the potential uses and benefits of imagery, and the underpinning theory and evidence. I wonder if other students-turned-practitioners can resonate with my experience that actually putting theory into practice in the applied field is a whole different ball game! What about athletes who can’t control their image or who indicate that they “can’t ‘do’ imagery” at all? How should imagery scripts come together: What content, wording, format, timing, is best? These practical challenges of using imagery with clients are not necessarily covered in training or textbooks; yet are situations and questions that I have encountered or pondered over as an early career sport psychology practitioner. Last September I went back to the University of Birmingham (where I studied my undergraduate degree) to attend an imagery workshop run by the BRIO group. Aside from checking out if Joe’s (the student bar) still looked the same, I was keen to learn about current imagery research and its applied implications from field leaders. The workshop promised an applied focus and did not disappoint, with practical tasks and discussions throughout the day. I left feeling inspired and equipped with knowledge and tools that addressed my afore-mentioned practitioner challenges; and that would ultimately enhance my consultancy work. I hope to share a few personal reflections on my key learning points, accompanied by applied examples. One main focus of the workshop was using layered stimulus response training, or LSRT. This approach advocates building the complexity of an image gradually with clients, by starting with a simple image and progressively adding ‘layers’ (or details). These layers should include characteristics about the imaged scenario (e.g., the race start line), as well as the athlete’s sensory response (e.g., quickened heart beat) and the meaning this holds for them (e.g., feeling prepared and energised). I have found the step-by-step approach of LSRT and its emphasis on ‘starting simple’ extremely helpful with athletes who doubt their imagery ability. Through a cycle of ‘image, reflect, develop’, athletes can continually evaluate and build the vividness and controllability of their imagery. I have also had success using LSRT with athletes who fear the situation they are trying to image; that is, when the purpose of imagery is to reduce anxiety and develop confidence. For instance, I worked with an equestrian rider who feared jumping certain fences. At first, this rider could not contemplate mentally jumping the feared fence from a first person perspective (through the ‘rider’s eyes’), which evoked unhelpful responses including thoughts (e.g., “That looks big”), emotions (e.g., scared) and physiological reactions (e.g., freeze). Through progressive steps of using imagery to first experience jumping easier fences and then harder fences (initially in third person perspective, followed by first person perspective), this rider was eventually able to mentally experience jumping harder fences comfortably; and crucially, to physically jump these fences on her horse. The ‘response’ and ‘meaning’ elements of the imagery were important to monitor and regulate here, in order to dispute the rider’s unhelpful thoughts about harder fences, and create more helpful responses/meanings to the harder fences in her imagery. Reflection 2: Broadening the ‘Why’ of imagery – a tool for self-awareness? The workshop covered five ‘W’s of imagery, which should all be considered when working with athletes: ‘Who’, ‘When’, ‘Where’, and ‘Why’, which informs the ‘What’. Prior to the workshop, I had used imagery largely as a tool to improve confidence, focus, and skill acquisition. More recently, using a LSRT approach I have been amazed by the capacity of imagery to develop athletes’ self-awareness. One session that stands out was working with a darts player to uncover the differences in thoughts, focus, emotions, and physiology when he took shots he was most comfortable with (his favourite numbers) versus least comfortable (shots he avoided). By progressively building detailed imagery examples of both scenarios, it dawned on the player that he focused on the whole number when taking ‘uncomfortable’ shots, yet on a tiny dot when taking ‘comfortable’ shots. Astonishingly, this difference was something the player had been unaware of in ten years of competing; and this awareness helped us to develop an intervention. Increasingly, I am using structured imagery (rather than solely asking athletes to recall performances) in my practice, to develop a richer self-awareness within the client and to get a clearer picture of presenting issues as a practitioner. The sixth ‘W’ discussed in the workshop was the ‘hoW’ of imagery, for instance the different senses that are experienced (e.g., visual, tactile), the perspective (e.g., first or third person), angle (e.g., in front, behind), and agency (e.g., self, other) of the image, and whether the imagery is deliberate. These considerations were an eye-opener for me: Images can be vastly different, yet still effective. I now encourage athletes to initially vary their ‘hoW’, for instance experiment with different perspectives and angles. In my experience, this can help to improve imagery detail and also athlete self-awareness, such that the athlete can make informed decisions about their preferences and be fully involved when we write a script together. Being flexible in the ‘hoW’ can also work very well. For example, one cross-country runner I worked with wanted to include in his script (created to improve confidence in his stamina): (1) The starting pens and first 100m (first person perspective); (2) Fighting to stay in front mid-race (through a camera lens, following him from the side); (3) Sprinting the final 200m (first person perspective). The various scenarios and scripts provided during the workshop inspired me to think outside the box more, whilst still guided by research. For example, I now use performance videos of athletes to help them create their imagery scripts. Or, we’ll go to their training ground or competition venue and use their reflections on physical performance to inform the imagery. I now more often integrate imagery with other tools/interventions. For example, one equestrian event rider I work with listens to a self-selected soundtrack whilst walking the cross-country course. The rider then uses this same soundtrack whilst mentally running through how she wants to ride the course, to enhance confidence, focus, and reach her ideal performance activation. Another rider I work with combines imagery of show-jumping with using cue words we have put in place; helping the automaticity of these words (since riders cannot physically practice as often as some other sports; the horse would become very tired, very quickly!). This is by no means a ‘how to’ guide, but simply some examples of how I have extended my applied use of imagery following the BRIO workshop. I would love to hear any fellow practitioners’ input or examples! Further, the workshop is one that I would genuinely recommend for students, trainees, or established practitioners looking to expand or refresh their knowledge and implementation of imagery. My only regret was that Joe’s was closed for refurbishment. 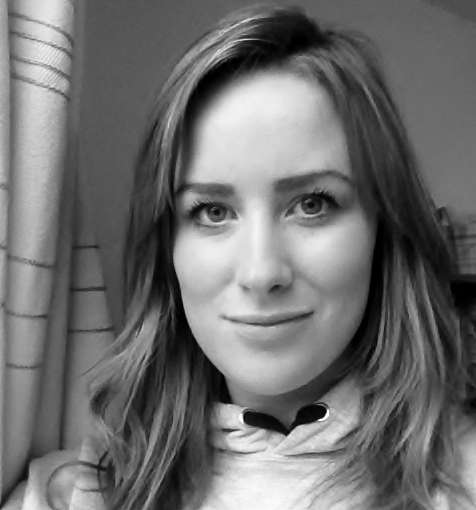 About the author: Jo runs a private sport psychology consultancy, regularly working with athletes of many different sports, levels, and ages. She is also undertaking a PhD at the University of Hertfordshire on ‘Self-practice/self-reflection in sport psychology practitioners’. Contact Jo via http://www.jdpsychology.co.uk or @jdpsychology.